Keep a few tubs of cream cheese in the fridge & you have the base for a delicious sauce in minutes!! 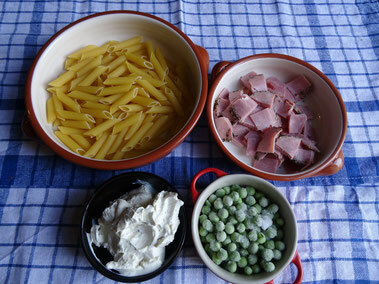 Cook the pasta according to packet instructions then, 5 minutes before its ready throw in the peas. Before draining the pasta, reserve about 2 tbsp of the cooking water. Once drained return the pasta to the pan & drizzle with a little olive oil to stop it sticking together. 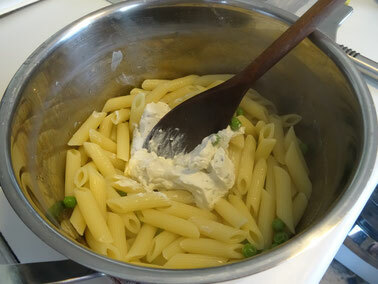 Add the cream cheese, stir well & slowly pour in the pasta water, stirring again. This makes the sauce smooth & glossy. Stir in the ham & allow it to warm through then serve. There are many varieties of cream cheese with different flavours available now so try experimenting. 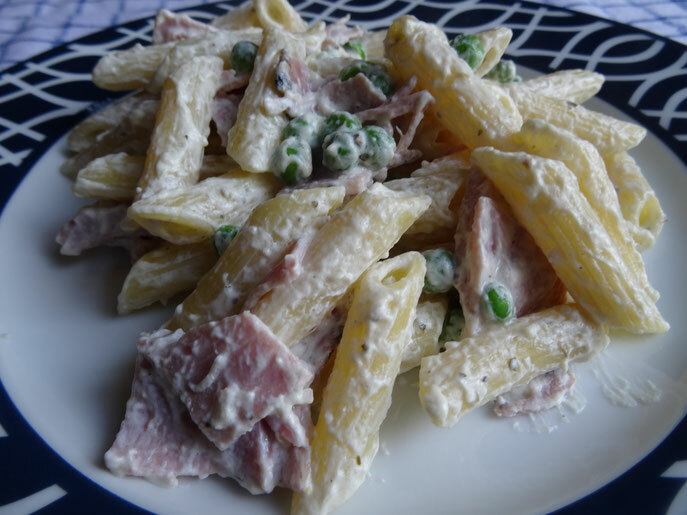 For a little decadence, replace the ham with smoked salmon. Most supermarkets sell packets of smoked salmon trimmings which are ideal & reasonably priced. Just add it in as you would the ham & it cooks through really quickly! Spinach goes well with smoked salmon! Just add a couple of blocks of frozen spinach to the pasta before its ready instead of the peas! The spinach & salmon combo would make a lovely weekend treat for two! !